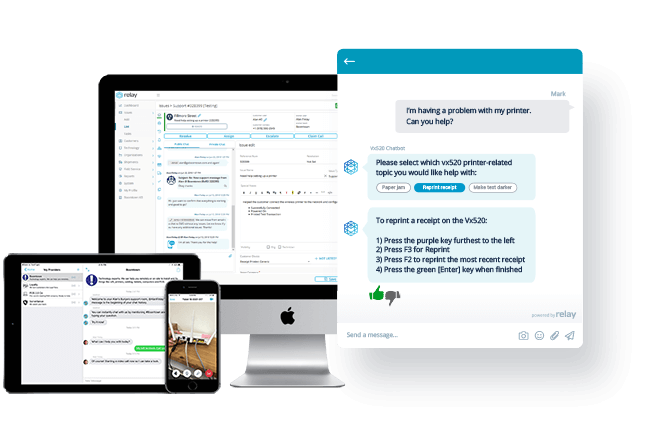 Relay is an intelligent customer service platform that helps teams efficiently support technology across distributed locations. 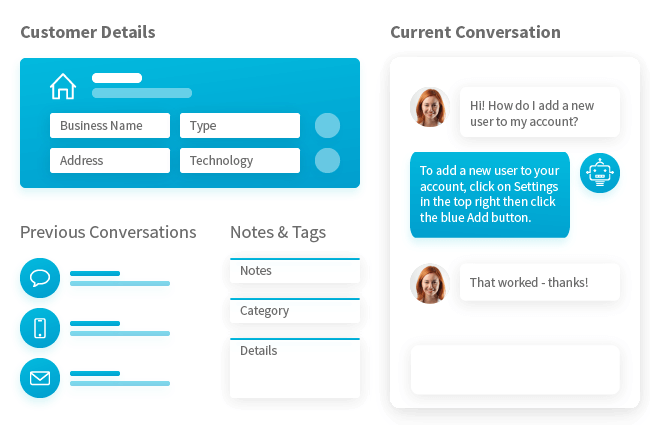 With a single Smart Inbox, an integrated knowledge base and seamless collaboration, your team is more efficient and can focus on helping customers instead of dealing with multiple and disconnected workflows. It’s time for a system that gets smarter every time you use it. 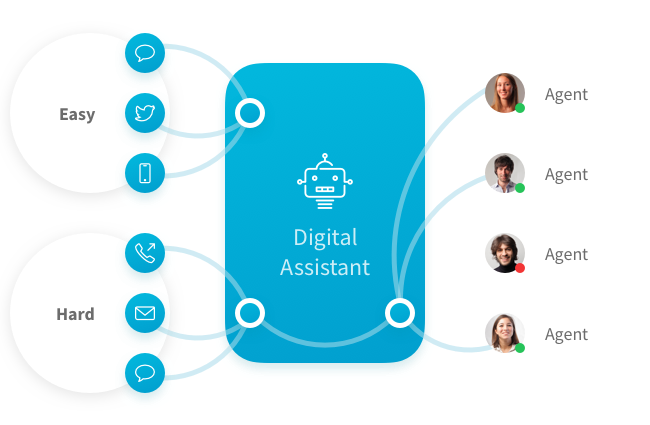 Relay uses machine learning and universal technology data to drive intelligent automation that creates more powerful agents while reducing the number of questions they get from customers. Who said you can’t be personal at scale? Let your customers talk with you however and wherever and give your agents the complete context they need to respond quickly and treat every customer as an individual, not a ticket. Knowledge becomes powerful when we apply it to experience to solve problems faster and with better outcomes. 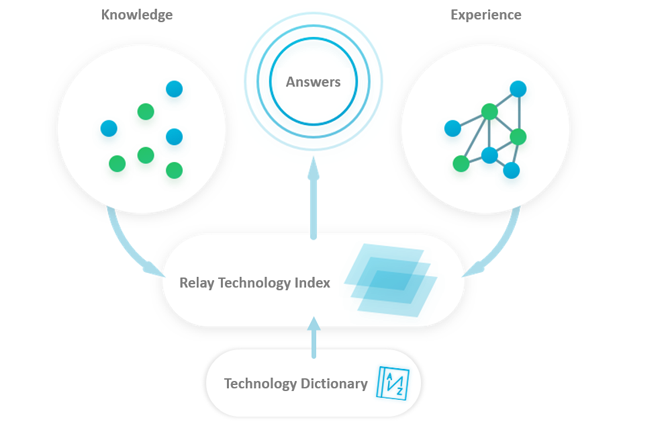 Relay places an unparalleled body of knowledge and experience at your fingertips in a single unified system. Using Relay, your teams can quickly help customers get back to business. 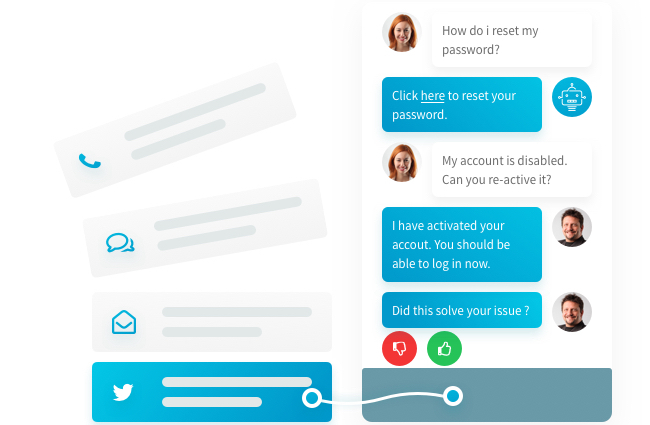 In many cases, Relay can even predict issues before their impact is felt, allowing agents to deliver truly proactive technology support. ”Our success lies in providing world class service to our customers and partners. Working with Relay makes my life easier and my employees love it. The knowledge base and self-service options allow us to take our support to the next level and we can beat any competitor out there. Take advantage of a support ecosystem that’s not limited to your own organization. Collaborate with technology specialists and augment your operations with access to a curated and nation-wide network of third-party remote and field service providers directly through Relay. 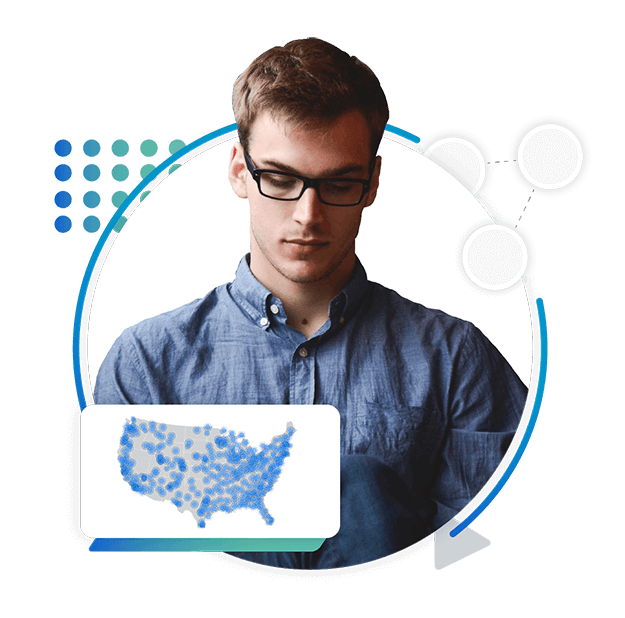 See how an intelligent support platform can turn your agents into superheroes.